Are you tiny, colorful and a big fan of nectar? If so, you might be a hummingbird. 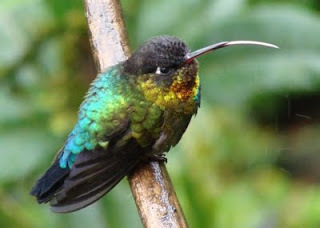 Come learn about yourself on Saturday, July 17th at "Hummingbirds: Our Feathered Gems" at Audubon Greenwich from 3:30-4:30pm. - Change your own heart rate and temperature to live through the cold. The lecture is presented by by Gina Nichol, a former staff member at the Audubon. She will also provide tips on how to get your hummingbird buddies to join you in the garden. The event will cost you a mere $5 and will be hosted at Audubon Greenwich, 613 Riversville Road in Greenwich.